This collection contains the oral stories of Jewish communities about themselves and their lives in Rousse, Shumen and Varna. The spoken narratives of the interviewed people are organized in eight chapters, corresponding to different anthro­pologic categories. That way, the readers can compare different life experiences and follow the variety of different life stories and realizations in a moment of people’s personal development that is specific and at the same time similar to other people’s lives. The stories are result from a field research in the spring of 2015. It reflects not only the status of the urban Jew­ish communities in Rousse, Shumen and Varna, it also illuminates the memory about them and describes people and events that are related to that part of the Bulgarian Jews, who now live in the State of Israel. 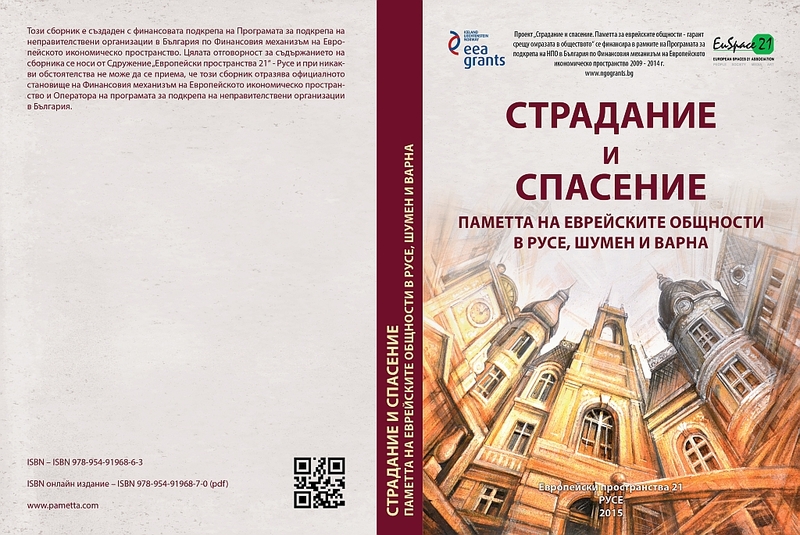 The stories and memories of thirty fellow patriots – 17 women and 13 men – construct an impressive survey area encompassing 27 Bulgarian towns and practically cover the map of the country. The book contains a large introduction in English language. Click the cover to see the book.